Back in November 2018, Lovell-Badge organized the Second International Summit on Human Genome Editing at the University of Hong Kong. 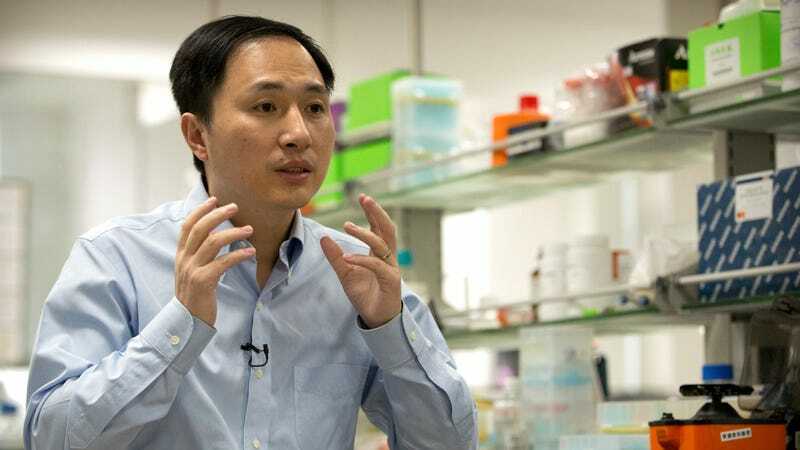 Upon hearing rumors of He’s controversial work, Lovell-Badge decided to invite the 34-year-old scientist and biotech entrepreneur to the summit in hopes of tempering his enthusiasm, or as he told the Telegraph, to “control his urges.” During the summit, He admitted to using the CRISPR/Cas9 gene-editing tool to modify human embryos that are now twin babies. The genetically modified humans—the world’s first—are allegedly immune to HIV owing to the deletion of the CCR5 gene, which could make the twin girls more vulnerable to influenza, among other known and unknown health problems. Lovell-Badge said He has been staying at the university-owned apartment since early December, and that “quite a number” of armed guards are involved. It’s not clear if He is under house arrest or if he’s being protected by the guards, as the rogue scientist has faced death threats, the Telegraph reports.